A fluke? A case of perfect celestial alignment? Hmmm. Meanwhile, back at the ranch: this very same Zinfandel came away with a Double Gold medal and was rated “Best California Zinfandel” in the 2009 Lodi International Wine Competition. Not too shabby for a wine that retails for $15 to $18 retail across the country (or at least in the 22 states where Van Ruiten Family Wines are distributed). So what’s the story behind the Van Ruiten Family Winery and its Old Vine Zinfandels? What gives it these wines their rich, juicy, focused flavor, redolent of velvet textured, essence-of-blackberry and roasting coffee bean spices, enthrallingly rich and balanced enough to beguile the most discriminating wine judges in the world? You have to go back to the story of John Van Ruiten Sr., the family patriarch who can still be seen everyday walking around the Van Ruitten winery, located on Hwy. 12 just as you approach the business side of Lodi coming from the west. 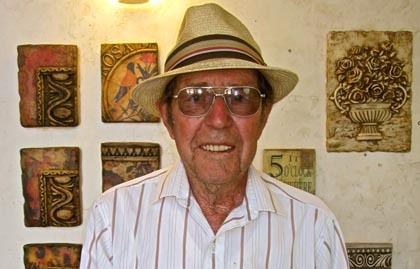 When the senior Van Ruitten arrived in Lodi from the Netherlands just after the second World War, he did what many hard working immigrants did: he put his stock in land; first, utilizing it for dairy cattle ranching, and then planting his first Zinfandel vineyard in 1952. John raised six kids, who along with their kids, still raise cattle and grapes, along with cherry and walnut orchards, on the family property, which now tops 1,000 acres (over 800 of those acres planted to vines). Besides having over half a century’s experience in the growing of head trained, own rooted Zinfandel, and understanding the grape’s wants and needs in the deep, sandy loam soils and accommodating climate of Lodi, it also helps that the family can skim off the crème de la crème — the absolutely finest fruit coming from about 150 of those 800 acres — to make their Van Ruiten labeled wines. The rest, they send to producers like Delicato, Ravenswood, Blackstone, and Constellation, who are only too happy to receive such stellar crops. 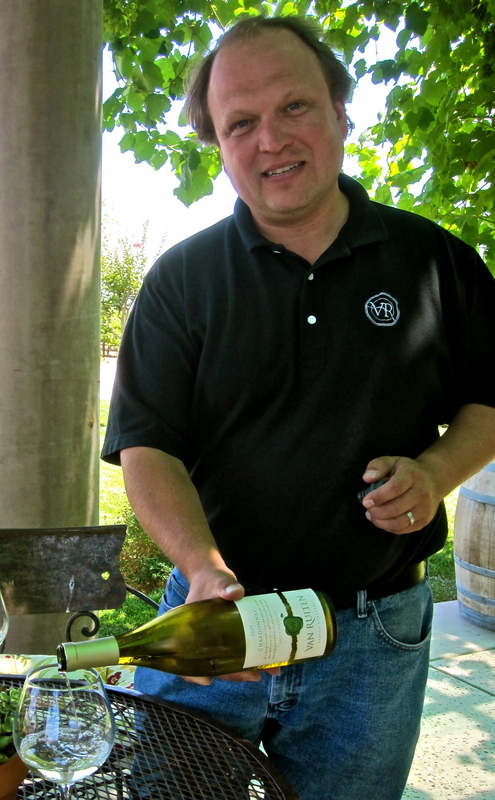 John Sr.’s dream of seeing his fruit shine in bottles bearing the family name came to fruition after the Van Ruiten winery was built and opened in 2000. His sons, Jim and John Jr., now do most of the vineyard management. Members of the third generation, like Audrey Zunino, the daughter of John Sr.’s oldest daughter Coby, pitch in by assuming duties in sales and marketing. These types of seamless generation-to-generation transitions may not be unusual for Lodi, where most of the 700 independently owned vineyards, and over 60 of the 80 or so wineries, are run by fourth, fifth and sixth generation families. But try naming the number of family owned wineries that have survived past their second generation without being sold or run to the ground in Napa Valley or Sonoma County. That’s right: you only need a couple of hands to count ’em (okay, so we’re cheating, since most of the family owned California wineries on the North Coast are still in their first generation). Point being: that’s what makes Lodi so unique, apart from the pure (and ever growing) quality of the region’s wines. In 2003, the Van Ruitens hired on an extremely talented, meticulous winemaker named Ryan Leeman. Leeman’s experience was originally in a Long Island, NY winery, where he won a number of awards for his innovative white wines. 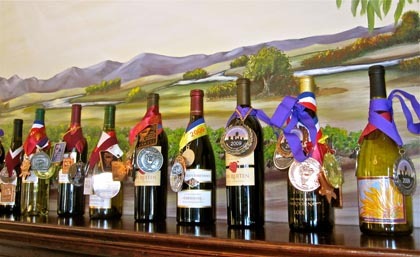 Granted, there isn’t too much resemblance between Long Island and Lodi as winegrowing regions, but the Van Ruitens correctly sensed that Leeman’s background — coming from a family of Ohio dairy farmers, plus his degrees from Cornell as both a cheesemaker and oenologist — was perfect for them, and Mr. Leeman’s award winning accomplishments in Lodi have certainly borne this out. 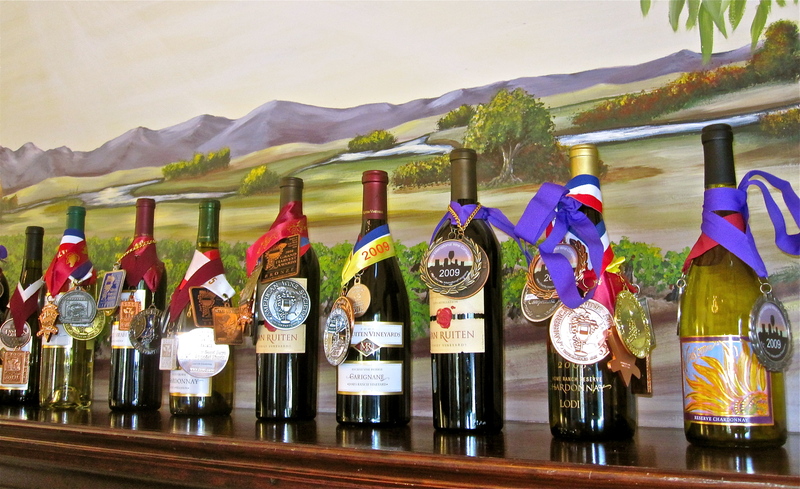 Says Leeman, “Lodi produces 25% to 40% of each major grape variety in the state. We can grow wines of great quality at every price point the market demands because of Lodi’s position on the map, where vines thrive in a warm climate and rich, fertile, sandy soils that are relatively free of even the most virulent pests like phylloxera. Our cooling delta breezes bring grapes into balance by dropping temperatures a good 30° to 40° every night, even at the height of summer. Making his point, Leeman pops open a 2008 Van Ruiten Lodi Pinot Noir. Wait a minute, Lodi grown Pinot Noir? Well actually, the grapes that go into this wine come from the Steamboat Vineyard in the adjoining Delta region, and the wine is soft yet zesty edged, with the rose petal and peppermint spiced strawberry perfumes typical of the grape, underlined by a light smoky oakiness. No, this is not Musigny, or even Williams-Selyem. But at $18 average national retail, it is one of the finest, most fruit forward Pinot Noirs you will ever find from anywhere. Just to remind us that Van Ruiten will always stand for Lodi heritage grapes, Leeman opens the 2008 Van Ruiten Lodi Petite Sirah (also only about $18): a purplish wine, dark as a moonless night; with a tightly wound yet sweet toned, blueberryish concentration — thick, fleshy, unctuous to the touch, like Beyoncé in leather. Any questions? The family’s pièce de résistance, of course, is Zinfandel; and apart from the sleek, sumptuous 2008 Old Vine Zinfandel, the 2007 Van Ruiten Sideways Reserve Lodi Old Vine Zinfandel ($30) is even bigger and more concentrated, tasting of framboise (raspberry liqueur) laced chocolate. The 2006 Van Ruiten EXPLOZIN Lodi Ancient Vine Zinfandel ($50) is, as the name implies, an explosive red made from 100 year old vines from off Turner Rd. 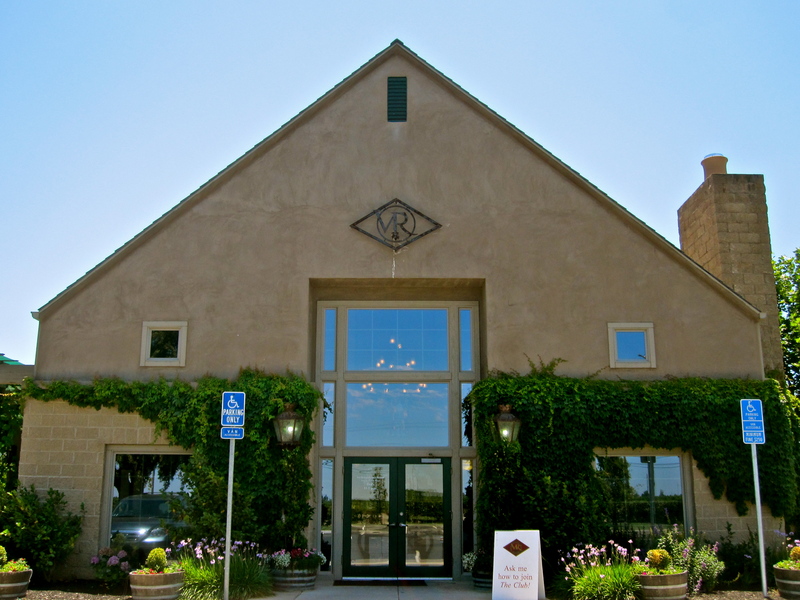 along the Lodi Wine Trail, almost Port-like in its huge, silky, blackberry syrup-like intensity. If you’re seeking something that is Port-like, the 2007 Van Ruiten Late Harvest Lodi Zinfandel ($29/500 ml.) finishes with 2% residual sugar and is a hunka hunka burning love — perfect with blue cheeses like Gorgonzola, or trays of dried fruit (especially blueberries and cherries) and bittersweet gourmet chocolates. Lodi = generations of know-how and care = wines of extraordinary quality + incredible value. Don’t just take our word: taste for yourselves! ... and the hits just keep on coming!